We want you to have the health and medical information you need to live a quality life. 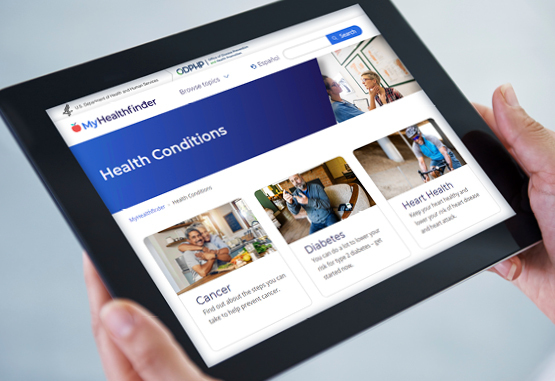 Healthfinder.gov covers health topics from A to Z, plus all the latest health news. It’s everything you need to know! Search for a specific health issue. See what medical screenings you need at any age. Knowledge is power! Get started now at Healthfinder.gov. Everything you need to make the most of your benefits. Programs and tips for getting and staying healthy.